The COLORBOND® brand has been a renowned roofing imprint in the architecture industry since 1969. In its more than 40 years of existence, it has protected millions of homes around the globe – including Australia. For us at Rooftec Roof Painting and Restoration, COLORBOND® is a perfect companion in making every home durable and lasting. In fact, it is perfect for Australia’s unique conditions, to its extreme seasons that are capable of instilling deterioration to traditional materials typically used in Australian homes. Why Choose Colorbond Roofing for your home or business? COLORBOND® steel is capable of resisting chipping, cracking, and shedding that is key in the longevity of a roofing structure. Being anti-fire and non-combustible, it can protect the house from Australia’s scorching heat summer. It shields you from continuous downpour during rainy season with its baked-on paint finish that makes it unsusceptible to harsh implications of wetness. It is lighter than any tile roofing on the market, which is almost 3 to 6 times lighter than the heaviest tile for roofing. It is easier to assemble, dismantle, and modify. It has the capacity to absorb weight, hence anyone who steps on it need not be anxious of falling due to breakage. 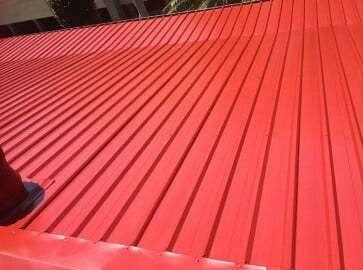 These thrilling virtues make Colorbond roofing a top choice amongst roofing firms, especially to those in countries that share the same weather with Australia. For designers whose adherence to aesthetics is of high importance, COLORBOND® is perfect, as it comes in designs that is classy – which is ideal for all Australian homes, be it traditional or contemporary. 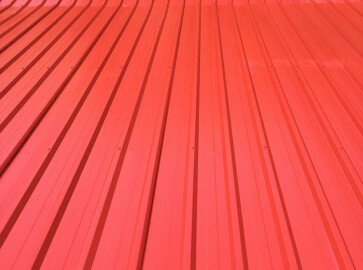 Contact us today to know more about this commercial and residential roofing option.